Shining Stars in Extracurricular activities from Our Orphanages!! On 05.01.2019, 13 children and 2 staff went to Theni District Collector’s office to have Children’s Day celebration. People of our nation celebrate Children’s Day on November 14 but this function was organized few days later as the District Collector was not available on that day. This celebration was arranged by district collector and District Child Protection Office (DCPO) and as our orphanage is monitored by DCPO government body our children also participated in this. Many events took place during this celebration. Our children participated in sports competitions with lots of interest and eagerness. Banu – She is most talented of them all. She secured three prizes. She won second place in all three of them. The events are 200 meter running race, 100 meter running race and long jump as well. 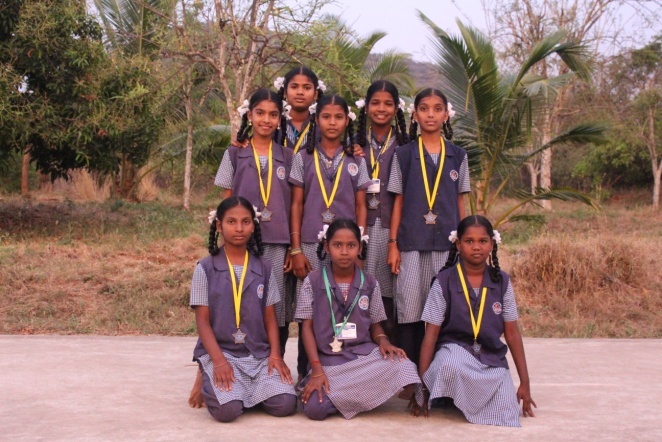 Muthupandiyammal – This girl won second place in 400 meter running race. Irudhaya Jency – She won third prize in discuss throw event. 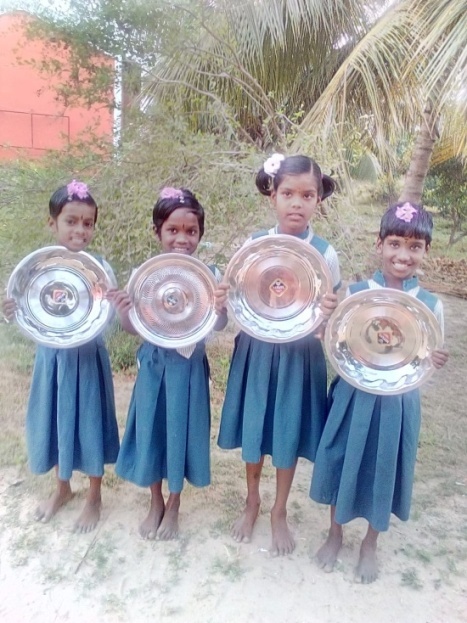 Along with these achievers we would like to introduce a few more successful children from our orphanage who participated in school level competitions and achieved prizes as well. Totally 79 boys and girls participated in many different competitions like frog race, running race, three legged race, collecting stones, relay, quiz and many other. We are happy to explore the hidden talents of these children and pave a platform for them to explore. We also duly appreciate and acknowledge their success be letting you recognize these achievers. Janani – got third place in sack race. M. Ranjani – got second place in elocution competition. Every year our children participate in district level sports and cultural competitions. 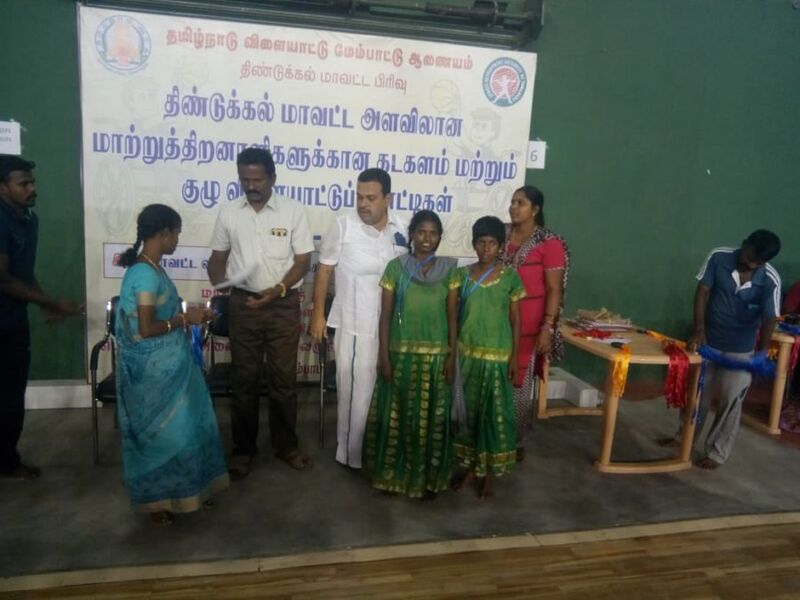 During this academic year also we had taken our children to participate in the sports meet conducted in our district for disabled children and this function was held on November 8, 2018. 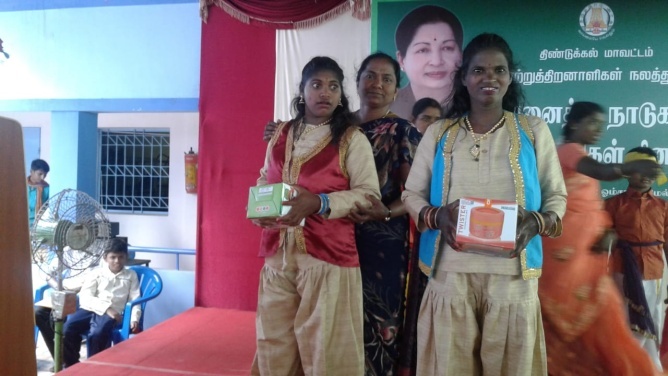 The function was organized in a play ground in Dindigul. District Disabled Rehabilitation Officer (DDRO) and the leader of District Sports Group were the chief guests and they gave away the prizes for the winners. Some of our children also succeeded in the events and the achievers’ list is given below. These two children were honored with medals, certificates and prizes as well. The children also took part in celebrating World Disability Day on December 3, 2018. This function was organized by DDRO office and held at Om Shanthi Metriculation School, Dindigul. More than 1500 disabled children participated in the celebration. The chief guests of the function were Minister Srinivasan and the District Collector. All the participants were given prizes. 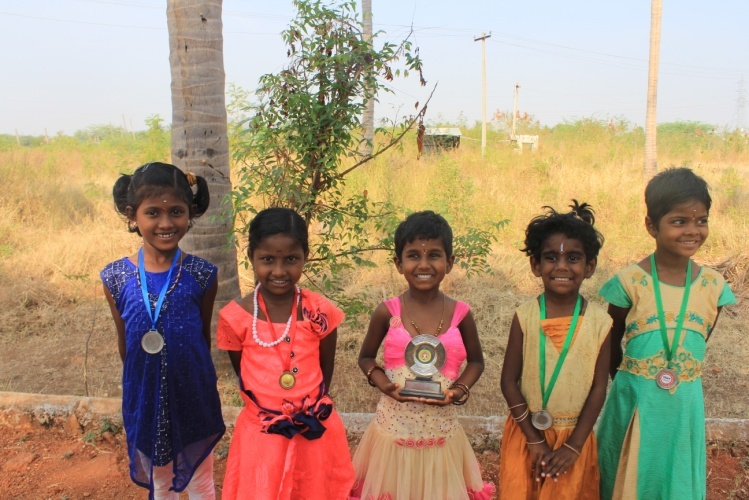 The children who participated from our school were Devika, Anushiya, Rama, Bavatharani and Priya. It is very fitting to express our joy of achieving something in a big level. Ten of our girls contested in a dance competition called “Tomorrow’s Super Dancer 2019”. This event was conducted in Champers of Commerce Mahal, Dindigul. The event lasted for two days and it was on 8.12.2018 and 9.12.2018. The judge for this competition was Choreographer and Master Robert. Sr. Libiya trained and motivated the children so well that they were able to reach the title. Yes our children were the winners of the title. They were given big winner shield and Rs. 10,000 cash as well. This is indeed a big recognition for our children and we are extremely proud and happy to share this with you all. Apart from this our children participated in school level competitions as well. The competitions include sports and other extracurricular activities also. 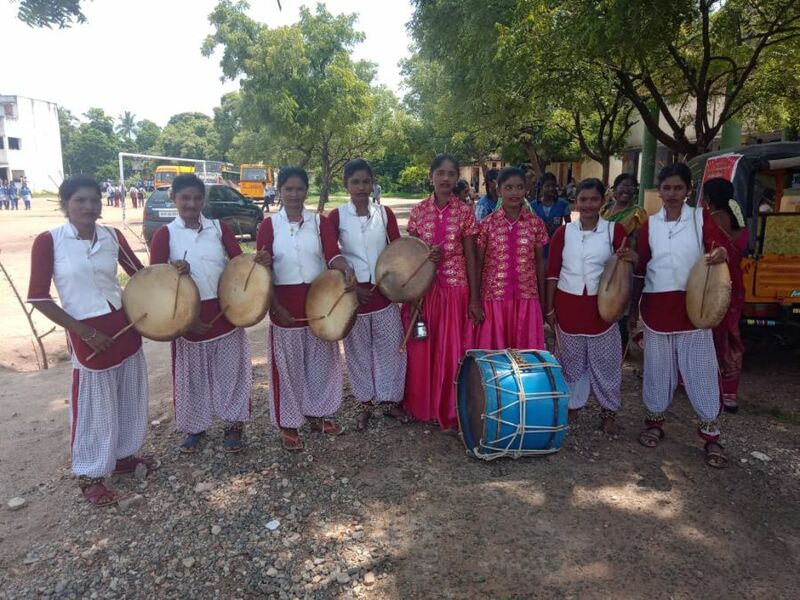 the events are such as frog race, running race, three legged race, gathering stones, quiz, lemon and spoon, essay writing, elocution, kabadi, poem writing and reciting of Thirukural. 44 of our children from various classes participated in these competitions. Some of the have achieved prizes in them and the list of the winners are mentioned below. 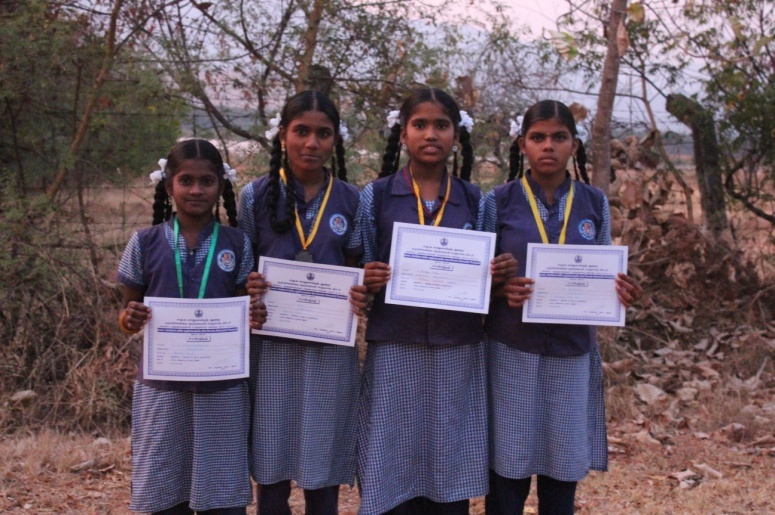 Essay Writing: Dhanalakshmi secured first prize and Kalaiyarasi was third in the competition. Elocution Competition: Hemalatha was the winner and Kanishka claimed runner up spot in it. 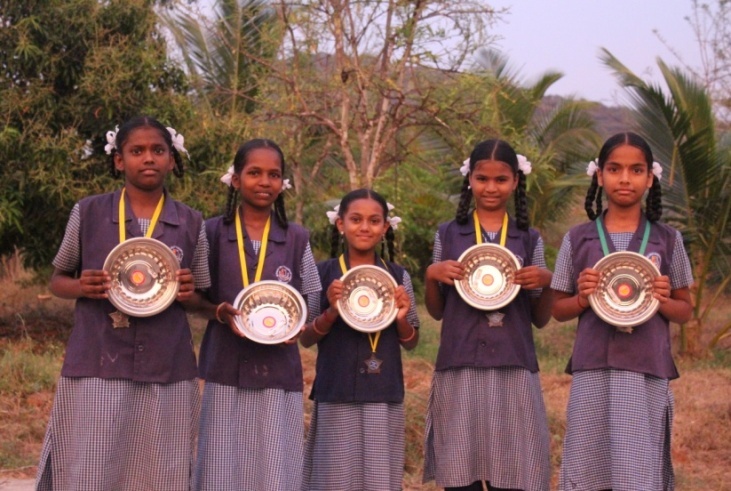 Kabadi: Three of our girls namely Kalaiyarasi, Prabhadevi and Lavanya, were in a team and their team got second place. How excited we are to introduce our successful child from our orphanage! Yes are very much pleased to share the success of our children in sports and other events during this academic year. 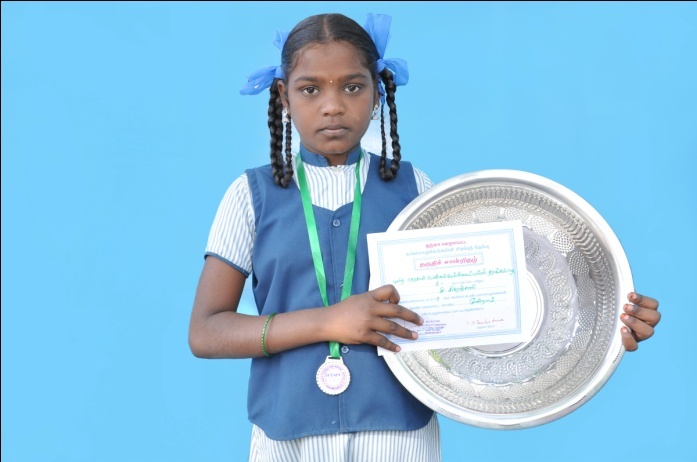 S. Sivaranjani of VI grade got an opportunity to participate in Thulir Talent Test – 2018. She worked hard day and night to express her talents. She finally achieved third place in the contest. It is definitely a big achievement by our child as there were many participants from many other districts. This test was conducted by Tamilnadu Science Movement. There are four other aspiring youngsters who enjoy success. 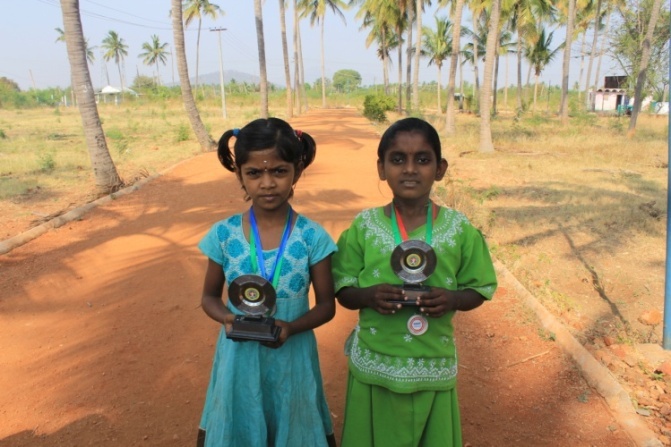 Adaikala Leema and Puela Pushpa have won prizes in 100 meter running race held in their school. Kunali won second place in skipping competition and Meenakshi secured second pace in drawing competition. We are all very much impressed and proud about their success. Sivaranjani – participated in Young Talents Identification conducted by Tamilnadu Science Movement. Eventually she won third place in it. Kunali – Contested in school level skipping competition and won second place in it. 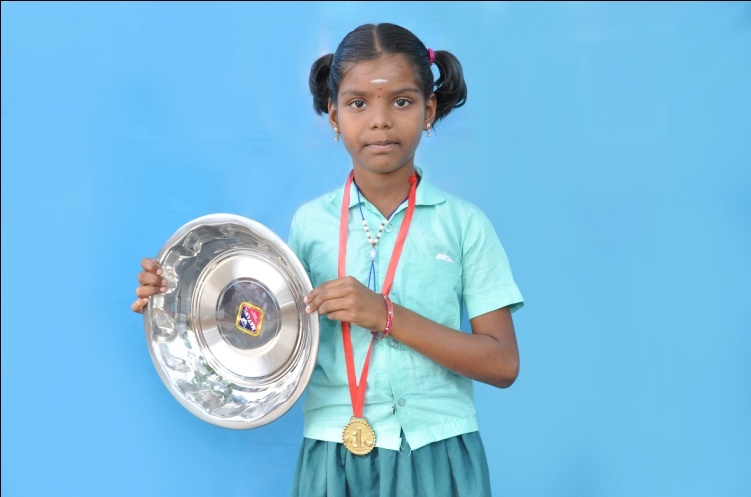 Adaikala Leema – took part in one leg race conducted in her school and secured third place in it. S. Meeatchi – was part of drawing competition held in her school. She got second place in it. 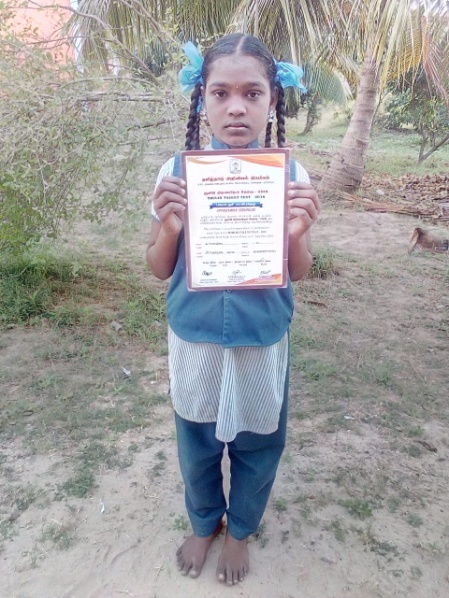 S. Puela Pushpa – was runner up in 50 meter running race which is organized in her school. S. Pavana and R. Meena – participated in special kids game which was conducted in their school on 12.02.19. These kids have platforms to perform and become successful in life precisely because of your support loving donors. Your constant love for these kids from your side brings hope in them and you become the reason of their lives. Apart from their effort and talents it is your support make us to motivate and shape them towards better future. We are indeed delighted to have this opportunity to share our success with you. We are happy to share the events that take place in our campuses. We hope to meet you through another circular soon.